In 1941 the National Park Service commissioned noted photographer Ansel Adams to create a photo mural for the Department of the Interior Building in Washington, DC. The theme was to be nature as exemplified and protected in the U.S. National Parks. The project was halted because of World War II and never resumed. This photo is of the Rock of Ages in the Big Room. 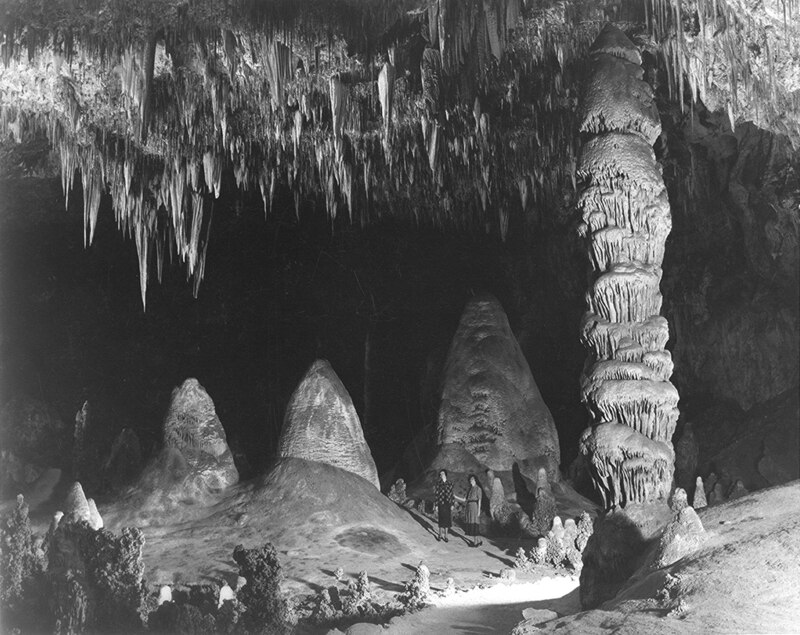 This is part of the Ansel Adams Collection at the National Park Service.